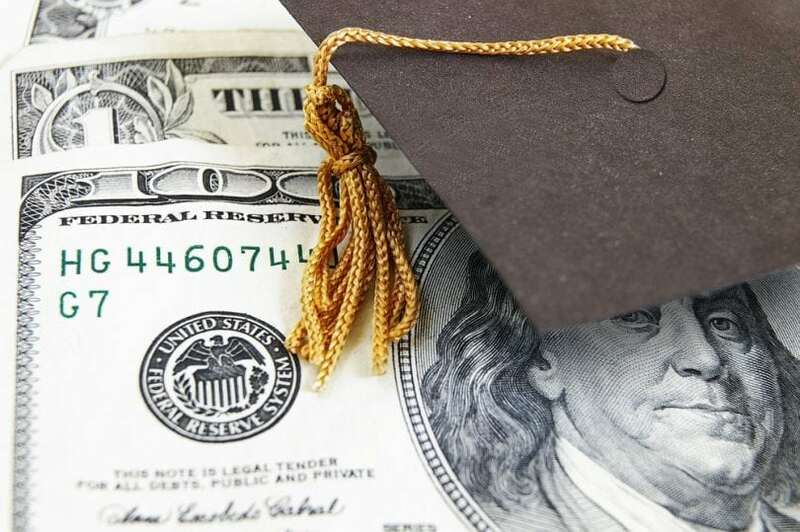 Most news stories about student loans focus on the negative aspects of student lending, including the monthly payments and expensive interest charges over time, but there is one big benefit of student loans young professionals should celebrate: an opportunity to help your credit score. If you make consistent, on-time payments on your student loans, over time you should see your credit score rise. Let’s take a look at how your student loans help your credit, what you need to do for the best benefit, and what to avoid that could send your credit score to the gutter. The first part of using your student loans to build credit is paying on-time. In fact, your on-time payment history is the number one factor in your credit score above everything else. Turning on automatic payments for your student loans ensures you never miss a payment due date. As an added bonus, most student loan providers offer a small interest rate deduction with auto pay. That is a win-win! It only takes a few late or missed payments to seriously harm your credit, but it takes years of on-time payments to join the 800+ credit score club. Don’t lose track of your payments to make sure they have the best positive impact on your credit. If you do miss a payment or pay late, that payment will harm your credit score for seven years. To keep negative information off of your credit report, do everything you need to ensure you pay by the due date. Also keep in mind that other credit accounts matter just as much as your student loans. Credit cards, auto loans, personal loans, and lines of credit all show up on your credit report just like a student loan. Another important factor in your credit score is your account mix and account balances. A student loan is a form of installment loan, which means you make the same payment each month for a period of time until the balance is paid off. As you make payments and lower the outstanding balance, your credit score should go up. Installment loans can also be good for your credit in general. Many people start their credit experiences with credit cards, which is just fine. But if you only have credit cards and carry a high balance, you are sure to see your credit score stay down in the trenches. Adding an installment loan to the mix adds to your credit mix and should offer a mild benefit to your credit score. A mortgage is the most helpful installment loan for your credit, but student loans can put you on the right track. As we briefly discussed above, missed and late payments show up on your credit report for seven years. If you pay on-time but less than the minimum payment, that’s another big mistake that will crater your credit score for years to come. How many points do you lose if you make a payoff agreement vs. paying off the whole balance due on collection accounts?